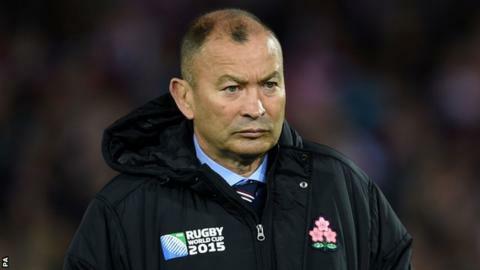 England’s Eddie Jones has praised the depth of his options after naming the squad of 37-man for a training camp pre-season. Wales coach Warren Gatland could tour South Africa when he returns from his time in charge of the British and Irish Lions, according to reports. The profile of the 53-year old is at its highest after he impressed at the Test series in New Zealand. Gatland has a deal with the Welsh team to continue until after the 2019 World Cup. The manager says he would honour his contract. He took over in December 2007, leading the side at the 2008 and 2012 Six Nations Grand Slams. He also managed them to a World Cup semi-final spot in 2011 before renewing his deal in 2013. Fly half player Handre Pollard is one of the players of South Africa rugby team who will not be facing Argentina in the opening match of Springboks Rugby Championship. This game is scheduled to be held this weekend at the Nelson Mandela Bay stadium but Pollard is down with an ankle problem that he encountered in April. He missed out most of the 2016 for injury reasons, but had been included to be part of the South African squad that would be facing Argentina. The Anglo Welsh Cup, which will be part of the Premier League, will commence on 3rd November this year. The opening match will be hosted by the Worcester Warriors. Their opponents will be the Sale Sharks who would be their visitors at the Sixways stadium where the match would be held.